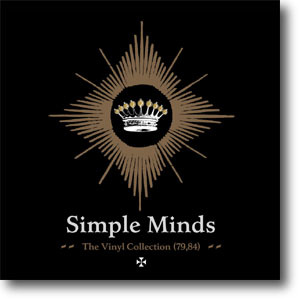 The Vinyl Collection (79,84) was part of Universal's continuing remastering campaign of Simple Minds' back catalogue. 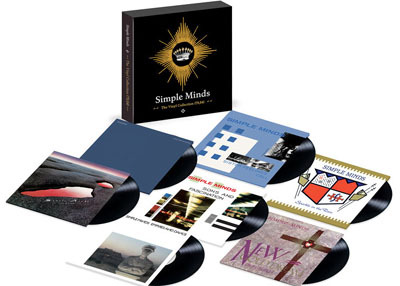 It was the first vinyl album box set issued for the band. It followed the format of album box sets by other artists, being essentially an audiophile release with the remastered albums pressed on 180g vinyl. Special attention was given to the artwork, ensuring that the sleeves, inner sleeves and labels of the original Zoom-Arista and Virgin pressings, were accurately recreated. The original album master tapes were remastered at Abbey Road in July 2015. The box cover artwork was based on the design of the New Gold Dream tour programme. I wanted something that was quintessentially Simple Minds and represented the period. The original specification was for a six album box set, which would've included Life In A Day through to New Gold Dream (81,82,83,84). I extended the specification to include Sparkle In The Rain, an apparently odd decision, given that a 180g vinyl edition of Sparkle In The Rain had been reissued as part of the Sparkle In The Rain project. However, the reason for that decision will become clear next year. A sticker was designed but the idea was eventually dropped. 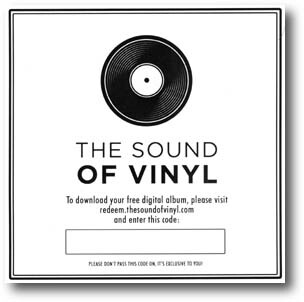 A Sound Of Vinyl insert was also included which gave the access code to download the albums digitally.